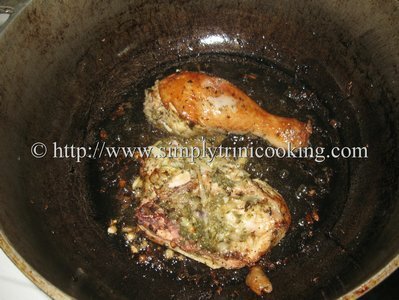 The Trini seasoned chicken and Parmesan cheese aroma from the Baked Parmesan Chicken wafted from the oven and filled the entire kitchen. As I removed the foil, the tasty treat revealed itself in all its splendorous deliciousness. 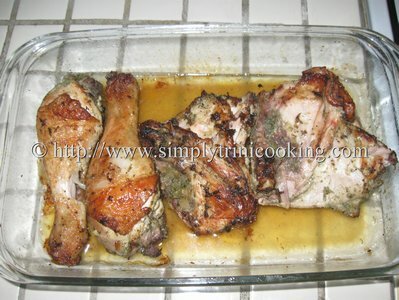 Melted cheese covered the chicken taking on a light brown colour. I was eager to take a taste: I was already salivating with knife in hand and only common sense was holding me back from getting burnt…. 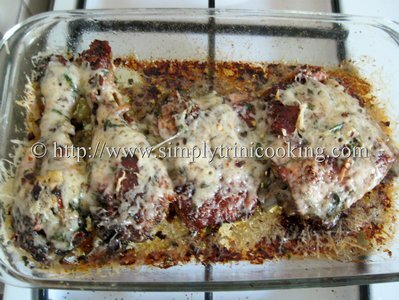 Baked Parmesan chicken was a recipe that would be getting quite some rotation on the menu in my kitchen. But, that was not always the case…….. Baked Parmesan chicken? My initial thoughts on this when I first saw the recipe was “chicken and cheese?” I would have never thought that this could be a beautiful pairing. 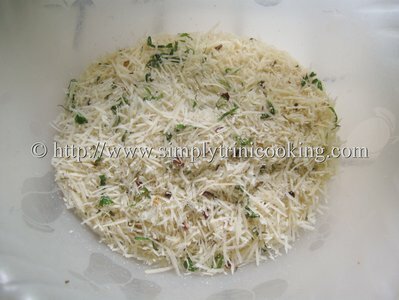 Actually, this was my first time I ever used Parmesan cheese for anything…I always had in my mind that, that was the expensive cheese “those people” would use in their hoytee toytee cooking lol!! Normally, I would pass it straight in the frozen section of the supermarket every time and would never ever touch it. And too besides, it was already expensive and “we trini cheese from New Zealand” was all that I ever wanted in my macaroni pie, hops and cheese and cheese paste. 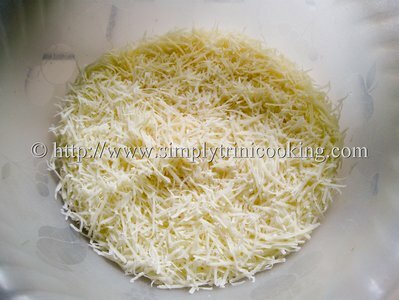 *Trini cheese from New Zealand hahahahaha!! * How much more ignorant could I have been at that time lol!! Don’t worry I’m more knowledgeable since that episode hahaha!! Now after this baked chicken smothered in Parmesan cheese, and me just passing by the fridge now and again to take a small piece for experimental purposes lol!!! I’ve finally come to embrace the milky, semi sharp, hard texture of Parmesan cheese. Dem boyz in Italy know what dey doin’ man lol! So, now I incorporate it in my cooking: in homemade pizza, cheese sauce and salads and no one is complaining at all, so I think we have a winner….Parmesan cheese is here to stay. Yay!!! I’m laughing at my own writing lol!! ….. 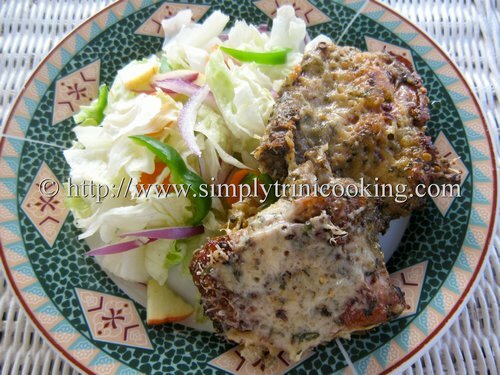 Anyhow, I hope you like the baked Parmesan chicken done trinistyle with extra cheese: my favourite! It also is great with a salad. 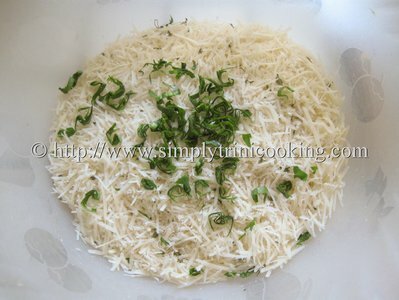 As usual, I like doing the recipes in it’s simplest possible form so that you could add your twist to the dish. If you do, why not send me a line; I just might post it on the site 🙂 OK! OK! Ah talkin too much again! Here’s Baked Parmesan Chicken. Separate the legs from the thighs. 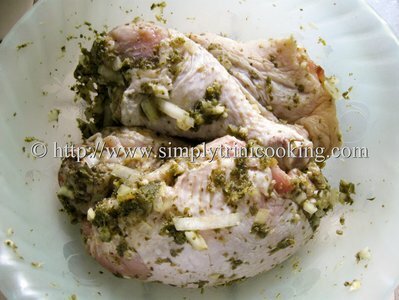 Season and marinate chicken for at least 3 hours. 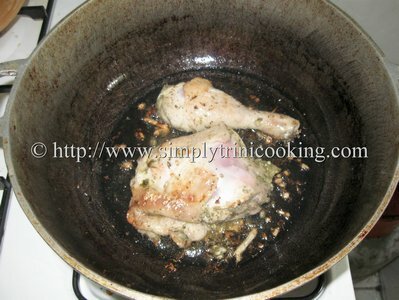 Note: I used our famous green seasoning along with some chadon beni, garlic, onion etc. to season the chicken. You can add your own blend of seasonings. 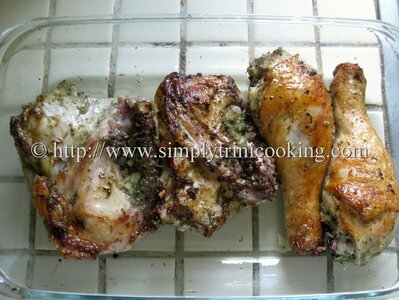 Place chicken in greased dish, cover with foil and bake for 30 – 45 minutes at 350 degrees F.
While your chicken is baking, mix all the seasonings with the cheese. Toss well and set aside. 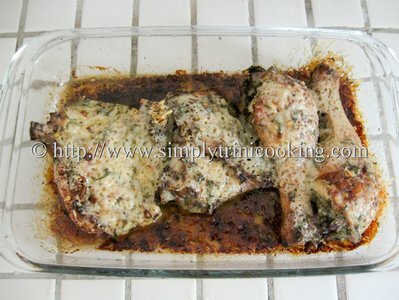 After 30 minutes remove foil and sprinkle half of the cheese over the chicken. 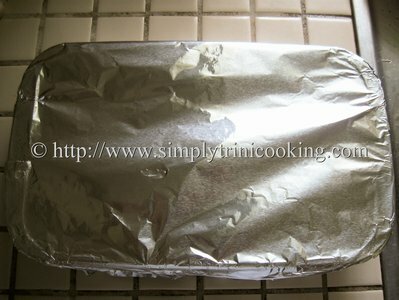 Cover back with the foil and bake for 10 minutes. 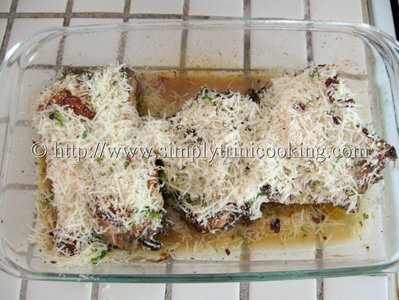 Afterward turn the chicken over and sprinkle the rest of parmesan cheese. Cover with foil and bake for 10 more minutes or until cheese has melted. 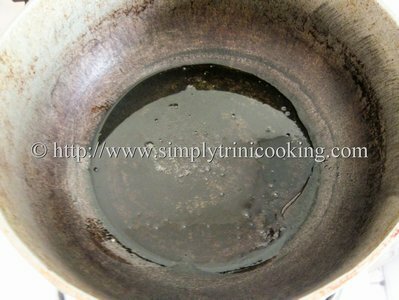 Well that’s it for another delicious recipe. Hope you try this in time for your Sunday lunch. More to come as usual. 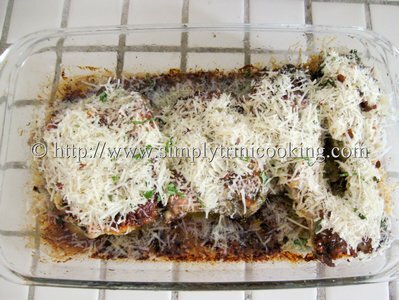 Don’t forget to leave your comments about Baked Parmesan Chicken in the comment box below. We just started selecting one country per month to study at home. We picked Trinidad. I want to try some recipes this weekend and this one looks like I can handle it with my 5 year old. Thank you!